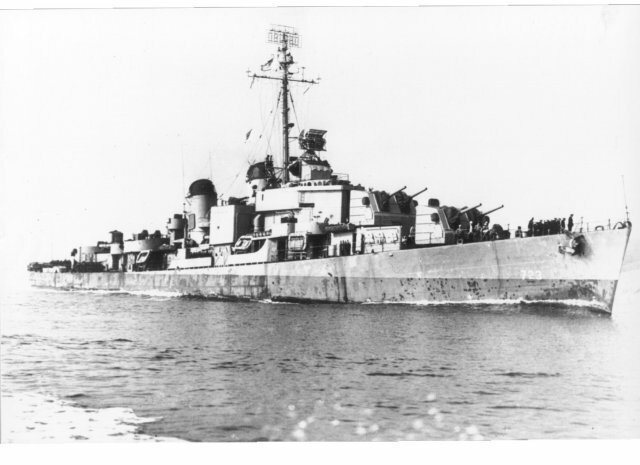 Some time ago we were contacted by Dino Lehares ET 1/c who had served on the USS WALKE DD 723. He had seen our Web Page and sent us an e-mail stating that his ship had recovered three of our shipmates. He was kind enough to send us the ship log (see below) for 24 July 1945 along with a picture of the WALKE. We wish to express our sincere thanks for his thoughtfulness and hope that some day he may decide to attend our Memorial Service. 2215 completed investigation commenced forming cruising disposition ONE VICTOR, base course 155T and pgc, 165 pgc. Speed 15 knots, 138 rpm. 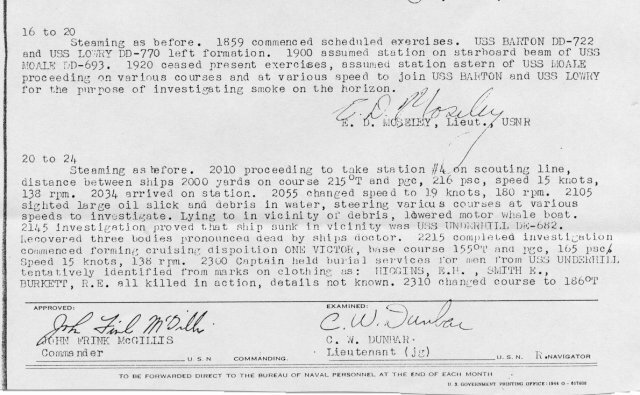 2300 Captain held burial services for men from USS Underhill tentatively identified from marks on clothing as: HIGGINS, E. H., SMITH E., BURKETT, R. E. all killed in action, details not known.